Turkderm-Turkish Archives of Dermatology and Venereology (Formerly Turkderm-Archives of the Turkish Dermatology and Venereology) is the official journal of the Society of Dermatology and Venereology. This editorially independent, unbiased, international journal periodically publishes peer-reviewed work in all areas of dermatology and venereology. Publication languages are Turkish and English. The journal is published quarterly in March, June, September and December with 1 or 2 supplement issues in June and December. The target audience of Turkderm-Turkish Archives of Dermatology and Venereology is specialists and resident physicians in dermatology and venereology. Articles in Turkish or English are both accepted for publication in print with the understanding that an English version is provided for the online publication prior to the final acceptance of the article. 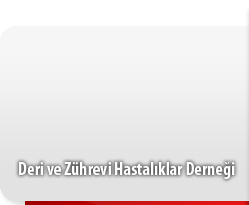 A Turkish version is not requested for articles submitted in English. The editorial policies are based on the “Recommendations for the Conduct, Reporting, Editing, and Publication of Scholarly Work in Medical Journals (ICMJE Recommendations)” by the International Committee of Medical Journal Editors (2017, archived at http://www.icmje.org/) rules. Turkderm-Turkish Archives of Dermatology and Venereology is indexed in Web of Science-Emerging Sources Citation Index (ESCI), Excerpta Medica/EMBASE, EBSCO Database, CINAHL, Index Copernicus, DOAJ, Scopus, Gale/Cengage Learning, Turkish Medline-National Citation Index, Turkiye Citation Index and TUBITAK/ULAKBIM. The journal has been indexed in Web of Science; Science Citation Index-Expanded (SCIE) in between 2008-2014. Since 2015, the journal is indexed in the Emerging Sources Citation Index (ESCI) in the Web of Science. Open Access Policy is based on the rules of the Budapest Open Access Initiative (BOAI) http://www.budapestopenaccessinitiative.org/. By “open access” to peer-reviewed research literature, we mean its free availability on the public internet, permitting any users to read, download, copy, distribute, print, search, or link to the full texts of these articles, crawl them for indexing, pass them as data to software, or use them for any other lawful purpose, without financial, legal, or technical barriers other than those inseparable from gaining access to the internet itself. The only constraint on reproduction and distribution, and the only role for copyright in this domain, should be to give authors control over the integrity of their work and the right to be properly acknowledged and cited. This journal is licensed under a Creative Commons 3.0 International License. Permission required for use any published under CC-BY-NC license with commercial purposes (selling, etc.) to protect copyright owner and author rights). Republication and reproduction of images or tables in any published material should be done with proper citation of source providing authors names; article title; journal title; year (volume) and page of publication; copyright year of the article. In all articles published in Turkderm-Turkish Archives of Dermatology and Venereology the author (authors) is responsible for his/her opinion. The editor, editorial board and publisher do not accept any responsibility for the articles. Financial expenses of the journal are covered by Society of Dermatology and Venereology. Turkderm-Turkish Archives of Dermatology and Venereology is sent free of charge to dermatologists and academicians in our country. All published volumes can be reached free of charge in full text through the web site www.turkderm.org.tr. Dermatologists wishing to subscribe to the journal should contact the Society of Dermatology and Venereology. Applications for advertisement should be addressed to the publisher; Galenos Yayınevi. Publisher: Galenos Yayınevi Tic. Ltd. Şti. With the written permission of the Society of Dermatology and Venereology the publishing rights for photographs and figures printed in Turkderm are the property of Galenos Publishing House Industry and Marketing Company Ltd,. Photographs and figures may not be used, microfilmed, or reproduced by duplication or any other technique without obtaining prior permission. Responsibility for notices and advertisements lies with the notice/advertisement owners. Turkderm is committed to abide by the principles of the publishing profession. The journal is printed on an acid-free paper.